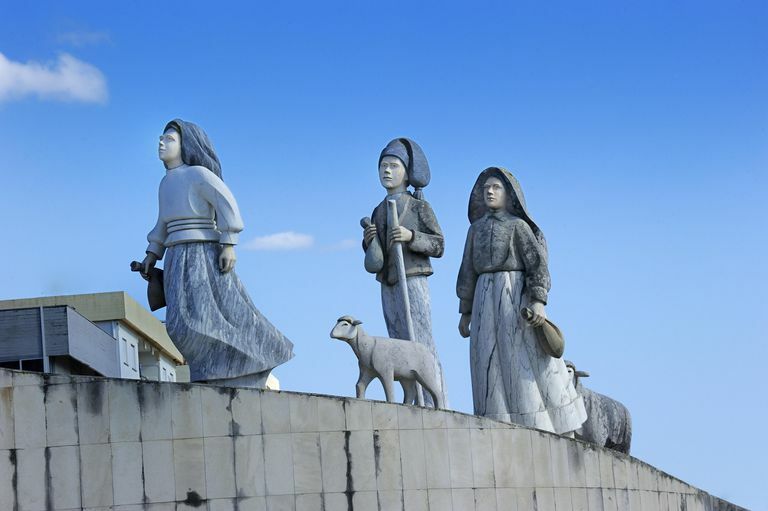 Memorial, miracle of Fatima with the three shepherd-children Lucia dos Santos, Jacinta Marto and Francisco Marto, Fatima, Santarem District, Portugal. In May 2000, the long-awaited "third prophecy" of Fatima was finally revealed by the Vatican. For some, it was a relief and for others an anticlimactic disappointment. In the Roman Catholic Church, the "miracle at Fatima" is arguably the most well-known apparition of the Blessed Mother. Her appearance to three shepherd children in Portugal in 1917 was, according to many witnesses, accompanied by several unexplained events, including a shared vision of the sun dancing and moving about erratically in the sky. During her many appearances to the children, "Our Lady" bestowed upon them three prophecies. The first two were disclosed by Lucia dos Santos, the eldest of the three children after she wrote them down in the early 1940s, but the third and final prophecy was not to be revealed until 1960. But 1960 came and went, and the third prophecy was not revealed because the Vatican said the world was not quite ready for it. This reluctance to disclose the secret lead to speculation among the faithful that it contained information about our future that was so horrific that the Pope dared not reveal it. Perhaps it foretold a nuclear war or the end of the world. In the first prophecy, the children were shown a terrifying vision of Hell and were told that's "where the souls of poor sinners go." Then they were told that the world war then taking place, what we now call World War I, would soon end. "The war is going to end," Lucia quoted the Blessed Mother as saying, "but if people do not cease offending God, a worse one will break out during the reign of Pius XI. When you see a night illuminated by an unknown light, know that this is the great sign given to you by God that He is about to punish the world for its crimes, by means of war, famine, and persecutions of the Church and of the Holy Father." Did this prophecy come true? World War I did indeed end and was followed by a worse war, World War II. But remember that Lucia revealed this prophecy in writing during 1940 after the Second World War had already begun. Also, it's interesting that Pius XI is actually named in the prophecy. When the apparition of Our Lady allegedly made the prophecy in 1917, Benedict XV was Pope. Pius XI became Pope in 1922. So either Our Lady also predicted the name of the future Pope, who reigned until 1939, or Lucia did some prophecy fulfilling of her own. What about the sign of "a night illuminated by an unknown light" before the outbreak of war? According to Fatima Prophecies, on January 25, 1938, a remarkable display of aurora borealis was visible across Europe, the year before World War II began. The light was so bright that people panicked. This display of northern lights might have illuminated the night in some spectacular fashion, but even in 1917 the aurora borealis was hardly an "unknown light." Also, again, Lucia revealed this prophecy after the fact. "When you see a night illuminated by an unknown light, know that this is the great sign given you by God that he is about to punish the world. To prevent this, I shall come to ask for the consecration of Russia to My Immaculate Heart, and the Communion of Reparation on the First Saturdays [of each month]. If My requests are heeded, Russia will be converted, and there will be peace; if not, she will spread her errors throughout the world, causing wars and persecutions of the Church. The good will be martyred, the Holy Father will have much to suffer, various nations will be annihilated." Many believers assert that this prophecy foresees the spreading of Communism by Russia, which had become the Soviet Union. Wars were, of course, fought to halt the spread of Communism. Then in 1984, Pope John Paul II consecrated the Soviet Union. Subsequently, in 1991, the Soviet Union disintegrated into 15 separate countries, but it can hardly be said that Russia has undergone a religious conversion. When it comes down to it, the accuracy of the first two Fatima prophecies rests on faith. Skeptics can poke large holes into them while believers hold them up as proof that Heaven has a vested interest in life on the Earth. So what of the third prophecy? In 1944, Lucia wrote out the third prophecy, as she said she heard it as a 10-year-old girl in 1917, sealed it and presented it to Portugal's Bishop of Leiria. She told him that Our Lady's instructions were that it was not to be revealed to the public until 1960. The Bishop turned over the prophecy to the Vatican. In 1960, Paul John XXIII opened the sealed prophecy and read it, and the faithful anxiously awaited its promised revelation. But it was not to be. 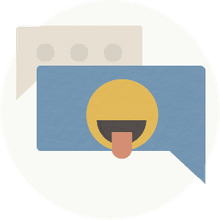 In apparent defiance of the Blessed Mother's instructions, the Pope refused to reveal the contents of the prophecy saying, "This prophecy does not relate to my time." But some say John XXIII fainted when he read the third secret because it specifically states, according to eyewitnesses, that the Pope would betray the flock and turn his sheep over to the slaughter devised by Lucifer himself. John XXIII fainted because he thought he would be the Pope who would open the door to Satan and that he would be the long-awaited antipope." It has been speculated that subsequent Popes also read the prophecy and likewise chose not to make it public. Finally, 40 years later, the complete text of the prophecy was released, but the controversy surrounding it is far from over. On May 13, 2000, the anniversary of the assassination attempt on him, the Pope visited the Shrine of Fatima and made a surprise announcement that the secret would finally be revealed. The Vatican then told the world that the secret was a foretelling of the 1981 assassination attempt on Pope John Paul II. The referred-to passage states: "...the Holy Father passed through a big city half in ruins and half trembling with halting step, afflicted with pain and sorrow, he prayed for the souls of the corpses he met on his way; having reached the top of the mountain, on his knees at the foot of the big Cross he was killed by a group of soldiers who fired bullets and arrows at him..."
This scenario hardly describes the attack on John Paul by a lone gunman, Mehmet Ali Agca, right in St. Peter's Square in May 1981. The setting is not the same; there was no group of soldiers, and the Pope, though seriously wounded, was not killed. Ironically, however, Ali Agca, even before the revelation of the secret was made, had said that he was compelled to try to kill the Pope as part of some divine plan and that the act was related to the third secret of Fatima. And the Pope, shortly after he was shot, said he believed it was the hand of the Virgin Mary that deflected the attacker's bullet, allowing him to survive. Since the revelation, the Vatican has been quick to downplay the significance of the prophecy. For one thing, Catholics are under no obligation to believe in the events at Fatima. They can take them or leave them since they are not part of church doctrine. Many Fatima devotees are not satisfied with what the Vatican has chosen to reveal, suspecting that they have either altered the message or not disclosed it in its entirety. Were the messages at Fatima prophecies of our future, warnings about possible outcomes or just imaginings inspired by the faith of three small children? Like most such things, it comes down to what you choose to believe.